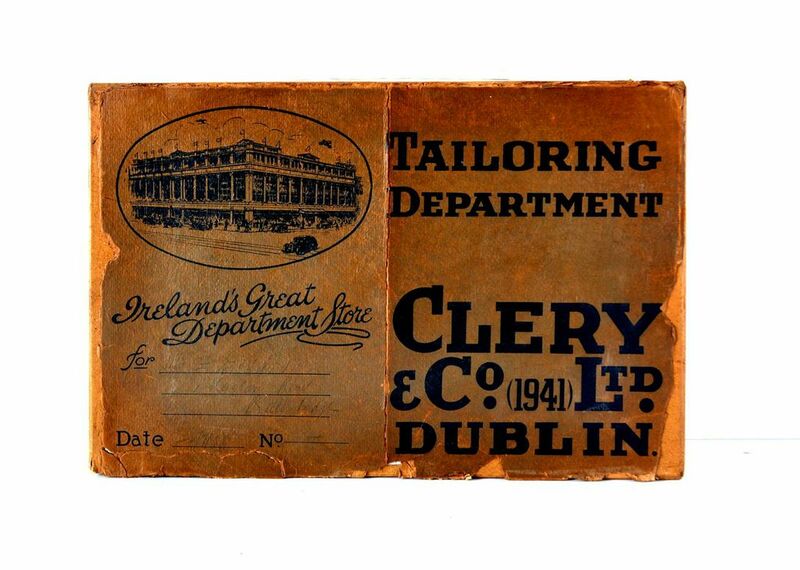 A box from Clery’s tailoring department in 1941. Clery’s was founded as ‘The New or Palatial Mart’ in 1853, bought over and renamed by M. J. Clery in 1883. The current building – which is modelled on Selfridge’s of London – dates from 1922, the original having been destroyed during the Easter Rising. In 1943, this much-loved department store was taken over by the Guiney family, who also owned the nearby Guiney’s department store.